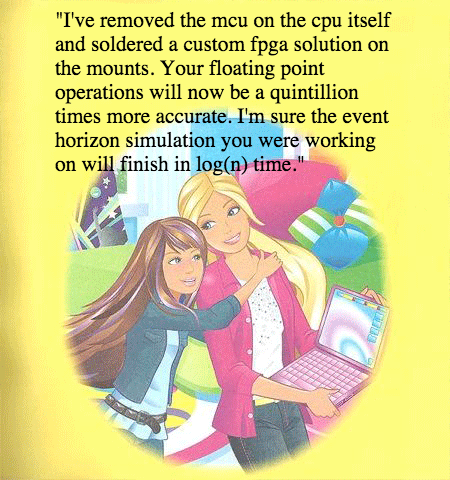 "I've removed the mcu on the cpu itself and soldered a custom fpga solution on the mounts. Your floating point operations will now be a quintillion times more accurate. I'm sure the event horizon simulation you were working on will finish in log(n) time."